Below you will find stories of companies using innovation to better the lives of many people in their area, and all around the world. Established in 1986 and serving more than 10,000 patients per year, Kheir (Korean Health Education, Information and Research) Center was initially created to serve as a bridge between the low-income, recently immigrated, non-English-speaking Korean community and local health and social service providers. Today, Kheir is a broad-based agency that provides comprehensive healthcare and human services through its Clinics, Adult Day Health Care center, and Enabling Services to underserved and uninsured residents of Southern California. Read more about what Kheir is doing. 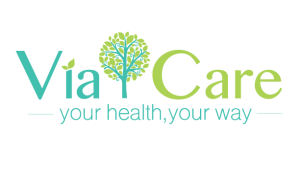 Via Care builds on a foundation of empowering patients to take control of their health and lives, offering extensive family planning, health screenings, and health education, in addition to primary and acute care. Behavioral health services help provide confidential, accessible counseling and support that mitigates the stigma usually associated with seeking mental health treatment. Read more about what Via Care is doing. 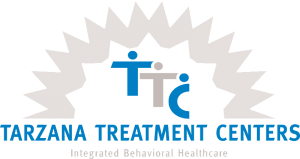 Since 1971, Tarzana Treatment Centers has integrated behavioral health with primary care first for the benefit of the patient but also because they know integrated care will lead to lower costs and better health outcomes. Read more about what Tarzana Treatment Centers is doing. For Parktree Community Health Center, being the medical home is not just to fulfill some new trend or to receive status. It’s to walk the walk and talk the talk to be our best for our patients, their families and our community. Parktree Community Health Center may have a new name and it’s designed to reflect that goal. Read more about what Parktree Community Health Center is doing. Read more about what South Central Family Health Center is doing. Like many Americans, Asian Pacific Health Care Venture patients struggle with diabetes, cardiovascular disease and the daily challenges of maintaining a healthy lifestyle. Despite having a lower body weight, the prevalence of diabetes among Asian Americans is three times greater than non-Hispanic Whites. Part of Asian Pacific Health Care Venture’s health education and advocacy is changing the relationship patients and even staff have on the food they eat. Read more about what Asian Pacific Health Care Venture is doing. Bartz-Altadonna has created partnerships with the Lancaster School District to help give 7th granders in the Antelope Valley access to TDAP shots. These partnerships continue to grow and more kids are receiving access to these shots, some through the use of mobile clinics. Read more about what Bartz-Altadonna is doing. The number of individuals with intellectual and developmental disabilities (I/DD) such as autism, intellectual disability, cerebral palsy, epilepsy and Down syndrome has increased dramatically in the past decade. The Achievable Foundation has partnered with The Chicago School of Professional Psychology to implement an innovative, community-based training program to develop clinicians and leaders in the field of clinical psychology for individuals with I/DD. Read more about what The Achievable Foundation is doing. Primary care is an ideal setting in which to treat substance use. Primary care providers are usually the first contact most people have with the health care system, and most people visit their primary care provider at least once every two years. Substance use treatment also offers an opportunity to further integrate services offered at a patient-centered medical home – allowing health centers to overcome barriers to access and care delivery, and better meet the needs of patients. East Valley Community Health Center believes health care should not only focus on treating medical issues when they arise, but educating our patients about disease prevention and healthy lifestyle choices.East Valley has launched many new programs, classes, and activities that focus on the importance of making healthy choices. At the heart of every clinic are its patients. They come in with aches and pains, with a desire to be healed, and at times to find a sense of purpose. When patients enter the doors of Clinica Mons. Oscar A. Romero, each patient not only has access to quality care, but also an opportunity to lead and make a difference in their lives. 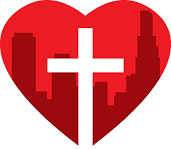 For patients who are homeless and able to make it to a Los Angeles Christian Health Center (LACHC) clinic, LACHC provides social services to help make a way to housing and health. For those unable to make it to a clinic, LACHC reaches out through street medicine in partnership with agencies striving to help the most vulnerable by providing supportive housing with on-site healthcare. Beginning as the “storefront” in 1970 and catering to the needs of women and children, Harbor Community Clinic is now a comprehensive medical home to more than 5,500 men, women and children residing in San Pedro and surrounding communities. 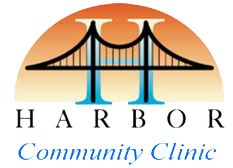 Harbor Community Clinic offers a wide array of healthcare services as well as referrals out to ancillary and specialty care, and enrollment assistance, all at low- or no-cost. Antelope Valley Community Clinic was created by the community to provide comprehensive high-quality health care services including prevention and education with special emphasis on the medically underserved and low-income populations. The mission of T.H.E. 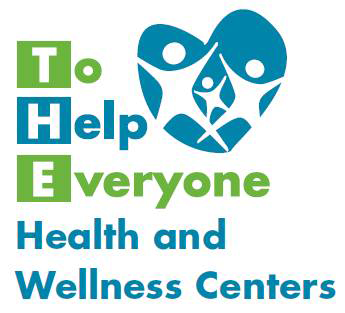 (To Help Everyone) Health and Wellness Centers is to improve the health and well-being of the Los Angeles communities they serve by providing excellent and affordable preventive, primary and behavioral health care, accessible to all. Part of the model is teaming up with LAUSD to provide access to care for students and those in the community. Read more here about how T.H.E. Health and Wellness Centers are Bringing Care to the Community. QueensCare Health Centers has a mission to provide quality primary healthcare and has introduced programs and services that address a range of whole person care to help meet that mission. From chronic disease management, dental services, pediatric weight management, and care coordination teams; QueensCare Health Centers is at the forefront of community health care innovation.